Recent discoveries by Bio-Logic Aqua Research. Recent discoveries by Bio-Logic Aqua Research regarding the causes of dehydrated and irritated eyes (dry eye) led to the development of the first all-natural, all-water, pH balanced mist product for eye moisturizing. For maximum benefit, the eye mist must be correctly applied. No touching of eyelids, tilting back of head or aiming of dropper. Does not flood ocular tear film or interfere with tear film structure. Will not smudge eye make-up. May also be used as an emergency eye wash. The most common error is attempting to apply the mist as though it was an eye drop, by aiming it directly into the eyes. This can flood the eyes and negate some of the benefit. The objective is to create a swirl of moisture around the face, like humid air, from which the eyes absorb as much as they need. Brief blinking is OK.
With eyes open, point nozzle of mist canister at side of face next to eyes (if you point the nozzle directly at the eyes, there could be a reflex to pull away and close the eyes). Press top of canister to release mist. Move mist canister across face, 8 to 12 inches from eyes, in a one-to-two-second sweep. Do not mist directly into eyes. 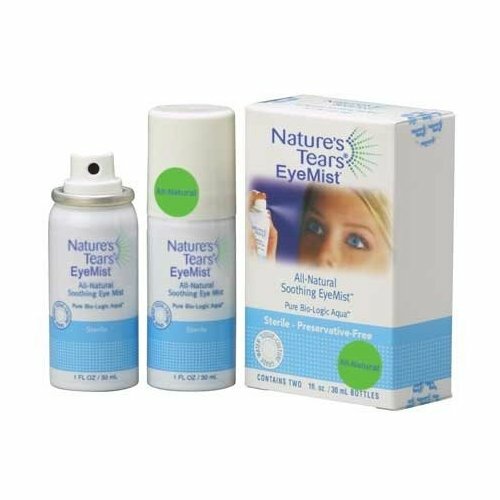 As an emergency eye wash (for eye irritation from dust, fumes, smoke or small particles), hold eyelids open, lean forward (with your waist in an "L" and looking at the ground), and spray entire contents of mist canister back and forth directly into the eyes, from about three inches away. This is an emergency measure only, when no other eye irrigation method is available. It should not replace officially recommended first aid procedures.